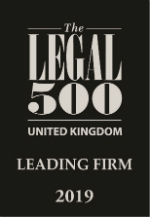 We are celebrating after 16 of our lawyers have been recommended in a leading independent guide of the country’s top legal professionals. There is no system in place in the UK for our hospital trusts to learn from each others’ mistakes. I was privileged to run in the Spitfire 10k Commemoration of the Battle of Britain race on Sunday at RAF Cosford.